Buying a newly built home can be exciting. If you have ever visited a builder’s model home, you know what I am talking about. When you first step into the new home, you see how beautiful the home is decorated. The features of the model home are top of the line, and it looks and feels great. It’s like buying a new car, remember that new car smell? It is designed to entice you and get you to buy. Before you know it, you have sat down with the nice salesperson and started talking about price…..BUT HOLD ON! This is one of the most important purchases of your life. Even if it’s your 4th or 5th home or perhaps your first, there are still a few things that you should consider BEFORE walking into that model home the FIRST time. How Are the New Homes Constructed? Can I Look in the Showroom? Can I Over-Improve My Home? Is the Builder’s Lender Giving You the Best Deal? Buying a new home, can seem like an easy task, right? 1. You walk into the builder’s office. 7. Walk through your home before closing. It’s easy, right? Not really. I recently built a new home and have helped six buyers through their new construction process in the past 4 months. I am convinced now more than ever that buyers need an advocate in their corner, that does not work for the builder. Who Pays the Realtor? A Realtor gets paid by the builder. It is in their marketing fee. Whether you hire an agent or not, the fee is there and will not be removed. The agent must be with you during your initial visit. Or, if you do go visit a builder’s model home, don’t register or give your name and information. They are not going to ask you to leave if you don’t tell them your name. I have had many clients not give their name upon their initial visit. Or they tell the builder, I have a Realtor, and I will not provide information until she is here with me. Realtors sell over 70% of all new construction homes, according to the National Association of Realtors. But, what does that mean to you, the buyer? It means that an agent has clout with the builder, especially if the agent is associated with a large, national firm. Statistics show we will be back if that builder does a good job for you. Many large, tract builders have a relationship with a lender or may even own a mortgage company. Some builders will offer you an incentive (contribute to closing costs) to use their preferred lender. However, the interest rate you are quoted and the fees may not be that competitive. The interest rate being offered by the builder’s preferred lender may cost you more money in the long run versus the compensation that the builder was willing to give you in closing costs. Shopping around for a lender can create a competitive environment and make the builder’s lender offer you a better rate. I recently helped a buyer with their mortgage options and was able to get my buyer a better rate, as well as more closing costs assistance because we negotiated. If you are a strong buyer with a good credit score, you have options and more bargaining power than you think. A real estate agent has relationships with mortgage lenders that perform. Most mortgage lenders business is through referrals. A bad lender, that over promises and under delivers doesn’t bode well with a real estate agent. So, ask your agent and shop around. However, beware of internet-based companies that may be working out of state. Although they are held accountable by federal guidelines, there is no relationship accountability. Too many buyers get blindsided by the 30-100 page contract the builder is going to present to you. The builder’s purchase agreements are written by the builder, for the builder. It is a one-sided contract, meaning it leans towards their best interest. Knowing what you are up against before it is too late may save you from losing your deposit if things do not work out. I recently had a large, experienced builder attempt to have my buyer sign an addendum that was not referenced in the original contract. That addendum, if signed by the buyer, could have cost them thousands of dollars. The salesperson for the builder tried to tell my buyer that if the addendum was not signed, they would lose their $15,000 deposit. Not true. But remember, that salesperson works for the new construction builder, not you. Please, even if you do not hire an agent to help you through the building process, don’t just believe everything you are told. Hire an attorney to review the builder’s contract if you are not seeking advice from your Realtor. Since we live in a Hurricane state, there are building standards that must be met. However, some builders will do the bare minimum to comply. Comparing builders just on price point may leave you a little disappointed after that fact. For example, not all electrical panels are created equal. Since most of us use computers or have home offices, we use power on demand, which may mean your electrical breaker is going to trip every time your printer turns on. I am truly speaking from experience. Ask and inspect. Find out the construction process, and the materials used, such as wood studs vs metal. 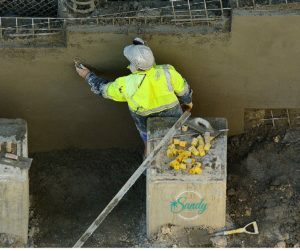 In addition, what type of material is the builder using for plumbing? Don’t take for granted that the county ordinances and building codes will be good enough for you. I was surprised that one local builder is using plastic tubing for water instead of PVC pipes. It doesn’t mean their building practice is wrong, it is just something you should know before you sign the purchase contract. All those selections! Ah yes, that wonderful showroom where you get to choose your cabinets, flooring, even the towel racks. Upgrades! Upgrades=$$. And yes, some upgrades make sense. Doing a little homework about how much certain things cost, like a garage door opener from a hardware store, vs paying for it during the new construction process, can keep you from losing a lot of money. Having your Realtor there with you during the selection process can help you determine the cost of some items and what can be done cheaper after you own the home. We can prepare a summary of values in the neighborhood and use that as a guideline for your improvements. Sometimes your agent will play devil’s advocate too. We are that person sitting on your shoulder asking you, do you really need this? 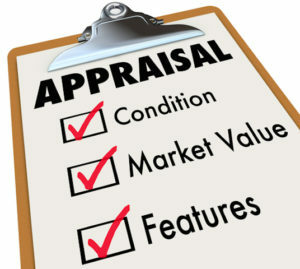 Yes and this ties into the appraisal and resale of your home. Going into the builder’s showroom and making upgrade selections can put you in a position of having a home that is overpriced, should you ever decide to sell. You may not get your money back out of your home, should you have to sell within a few years. Knowing that average sales price in the new construction community is crucial to the purchase of your home. A real estate agent can provide you with sales data before you choose your selections. Do not rely on the showroom salesperson. They get compensated by the builder for all those upgrades they sell to you. Let’s face it, life happens and although you think you are going to live in your brand new home for years to come, things happen. Don’t get stuck bringing money to closing or getting back less money than you put down. Since I personally built a new home, I understand how easy it is to get so caught up in wanting everything perfect. The builder’s showroom is designed to be exciting and of course, it is human nature to want nice things. Having a third party there who works for you can put perspective on your experience. Some builders will ask you to sign a form that requires you to bring the difference between your appraisal price and the purchase price should your home not appraise. All those selections chosen by you in the showroom increased the purchase price of your home and therefore, your upgrades must appraise if you are getting a mortgage. So, be prepared to bring extra money to closing. Selections=Resale too! 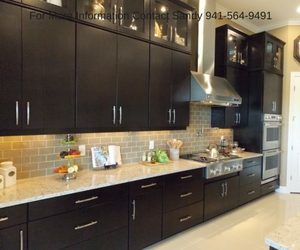 Although you may have fallen in love with the dark chocolate tile to put in your bathroom, a real estate agent can at least advise you on market resale. Things that are permanent or expensive to replace should be evaluated on aftermarket resale. An agent has heard countless times from buyers looking at homes say, “I really like the house, but…” We try to eliminate that BUT, because that is where you lose money. Maybe you have even said that yourself, which is why you want to buy (build) a new home. 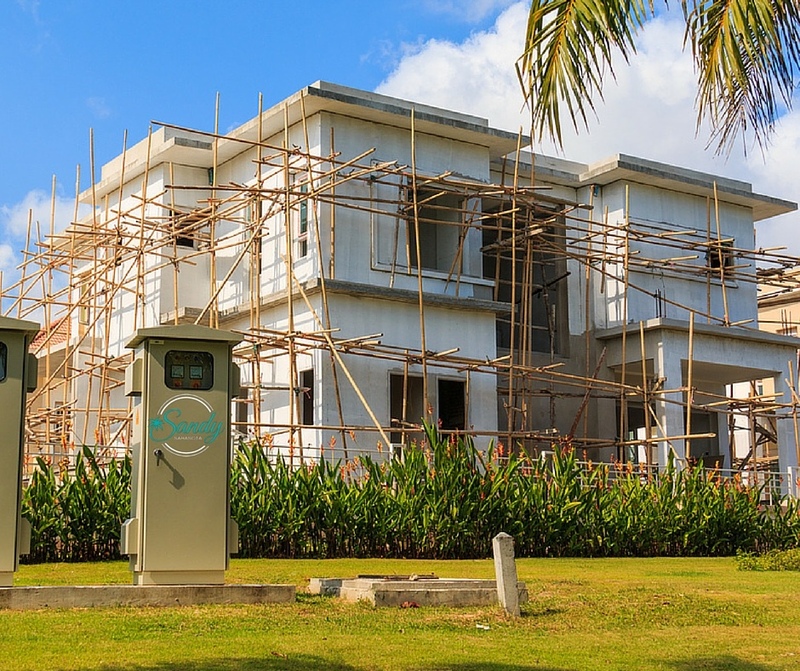 If you are building a home with a builder in Florida, it is important to ask about insurance for your home before you sign the builder’s purchase contract. Homeowners insurance policies in Florida can be expensive compared to other parts of the United States, especially the Midwest region. Because Florida is in a hurricane state and the topography is flat (low lying areas) there may be extra fees that you are not aware of. For example, flood insurance and additional insurance riders for storm damage to pool cages and fences. It is not uncommon in some areas of Florida to pay for at least two policies, which can equate to thousands of dollars. Also, you want to pay attention to the deductibles for hurricane damage. These are expenses you do not want to ask about after the fact. 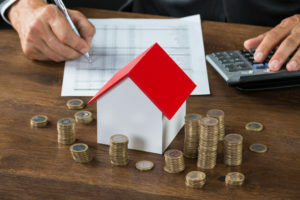 If you are getting a mortgage, most lenders require the policies to be included in your escrow and therefore could raise your house payment by hundreds of dollars. Asking your real estate agent about flood zones, and obtaining a few insurance quotes before you start to build could keep you from an unexpected hike in a house payment. Realtors understand the mortgage process. Do you really want to finance that garage door opener option into your mortgage for 30 years? It will cost you 4 times the amount you could have paid for it at a local hardware store. Let’s see the costs associated with doing that mortgage. A Realtor has seen countless closing statements and knows generally how much fees are for processing and underwriting a mortgage, etc. If you are getting a super duper interest rate, believe me, you are paying for it somewhere else. The federal government sets the interest rate. It’s like buying a 2×4 at one hardware store vs another. They should almost be the same price, right? If one is so much cheaper than the other, believe me, they are making it up in the price of nails they are selling to you! It’s the same thing with mortgages. Rates do change daily but every company should be quoting you basically the same rate. What’s a punch out? It’s the walkthrough. New homes are made by humans and humans make mistakes. Nothing is perfect, but sometimes they can be made better. When you buy a new home, the builder should be doing a punch out with you. At least when you work with an agent, they will. An agent will attend the walkthrough with you and with their trained eye, look for errors. It’s the tricks of the trade we learn. For instance, I always take my shoes off to walk on the carpet along the outside walls of all the rooms. Why? because that is where you will find the drywall remnants that were not swept up. That debris will eventually show through and your flooring will wear in those spots. Home inspections on a new home? I would. Buying a new home can be rewarding, after all, you are the first person to live in it. The inside of your home is what you choose and everything is brand new for you to enjoy. A Realtor should make sure that your experience is positive and your investment is protected. We are your partner and advocate through your entire building process. However, you have to bring us in the beginning. We must go with you on your first visit to that model home or register your name with the builder, otherwise, you may be on your own. Buying a new home, do I need a Realtor? Are You Thinking about building a new home? 🏡🏡Get your list of questions to ask your builder and whether you should have an agent work with you on new construction. Not many people would think to do it, but the article makes a very good point about experience when hiring a realtor. If you’re buying a newly constructed home then you;’ll want to make sure that the agent has specific experience with new homes. After all, there is a lot more involved with buying a brand new home then an old one, so the agent will have to understand that. Thanks Duncan for your comment. After navigating the new construction process, I have never had a buyer regret having their own representation. It’s great to know the process of buying a new home. My wife and I both think it’s time to finally buy a home for ourselves, so this is helpful! I’ll be sure to talk to a mortgage company quickly to see what kind of loan we can get and what kind of bargaining power we have, like you said! I like that you point out that if you have a good credit score you have multiple options. My husband and I are wanting to get a new house and need to find the right one. I’ll have to do some research and find some great homes for us. I’m glad you pointed out that it’s important to involve a real estate agent from the first stages of the process or else they may not be able to help us. My husband and I are interested in buying a new-construction home. I want to have the help of a real estate agent, so we’ll take your advice and find one to hire before visiting the model home. I thought it was interesting how you said that you should find out the construction process of a new home to determine what materials were used for the walls as well as the plumbing. My brother and his girlfriend are planning on moving in together, but they want to buy a new home so they can avoid the hassle of an apartment complex. It may be beneficial for them to find a realtor or website that can give them a list of newly-built homes that they can look at and decide to buy.